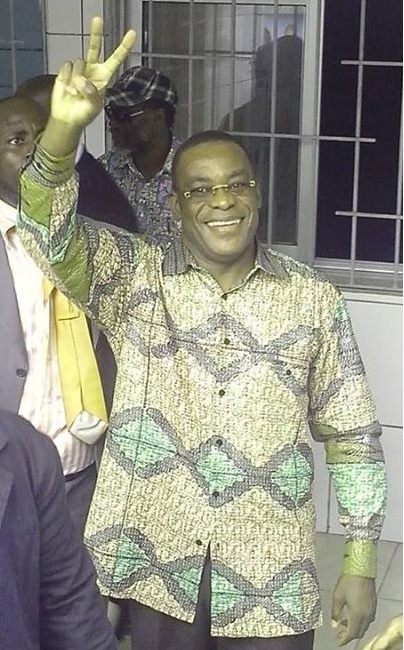 Freedom at last for 12 high political figures in Côte d’Ivoire. These were members of the FPI, Laurent Gbagbo‘s who had been detained without any hearing for the past 2 years. This is a sign that truth and justice always wins. 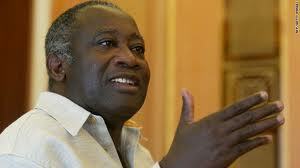 I have translated here a speech by Pascal Affi N’Guessan, one of the detainees and once prime minister of Côte d’Ivoire. This was published on the website of Le Nouveau Courrier. For the audio and integral text, go to Le Nouveau Courrier. Thank goodness for this… and let us keep fighting for freedom and true democracy (not the one manufactured by the IMF, in Europe or the US, but what will work for us). I would like to, before giving any speech, first greet you and thank you wholeheartedly. If we can stand here today in front of you, don’t be fooled. There are no three explanations. There are no two explanations. There is only one explanation. It’s your engagement, it is your determination, your strength, it is your rejection of an unfair situation that was made in Côte d’Ivoire which explains why we can stand before you today. This explains why yesterday other comrades were released. This explains why yesterday Bê Diabaté and other comrades […] have been released. And it is this mobilization which will explain tomorrow’s normalization in Côte d’Ivoire, the release of all our comrades who are still detained, the return from exile of all our comrades who were forced to flee their own country, and the return to us of President Laurent Gbagbo. Dear Comrades, you defeated the odds. You have proven that the Ivorian Popular Front (FPI) was intractable. You have proven that the Ivorian Popular Front was a spirit. You have proven that the people of Côte d’Ivoire did not want to backtrack. And its course is determined to be democracy, to be progress, to be freedom. And it is because our opponents have realized this fact, because we have imposed this reality, that we stand here today in front of you. Today is a day of rejoicing. A day to celebrate this milestone in our struggle. That is why it may be too risky to go further. But know that we do not have three programs, we do not have two programs, we have one program. 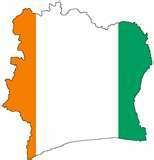 And this program is the program of the people of Côte d’Ivoire. And this program are the aspirations of the people of Côte d’Ivoire. And this program is to resolve all the problems that prevent this country from becoming a modern and prosperous country. This is our program! We’re here to straighten out. As the old of Ménékré says it, “twisted politics”, we are here to rectify. We do not want to palaver with anyone. We are not vengeful. The suffering we endured, we endured on behalf of Côte d’Ivoire. And we wear them proudly as decorations. Because in the end, no one forced us to come to the aid of Côte d’Ivoire. And the work in which we are committed, we do not do for material or financial interests. We want to build our country. Because it is not foreigners, from other countries who will build Côte d’Ivoire. That is why we are engaged in the fight. And we are ready to take risks for Côte d’Ivoire to advance. So thank you, dear comrades. « Why the name: Lusaka?